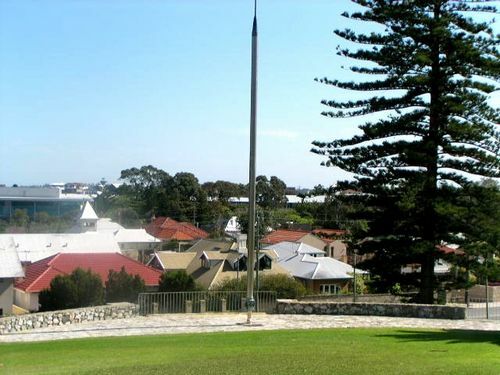 The Submarine Periscope Memorial comprising a periscope from HM Submarine Tabard is dedicated to members of the Allied submarine crews based in Fremantle during the Second World War. The memorial was unveiled by Sir Douglas Kendrew, the Governor of Western Australia, on Trafalgar Day (21 October), 1972. The memorial was completed by the President & Members of the (Royal Navy) Submarine Old Comrades Association - WA (SOCA-WA). They are now known as the Royal Navy Submariners Association - Australia Branch. In Memory Of The Submariners Still On Patrol. To commemorate the close ties forged between the People of Fremantle and the Officers and Men of the British and Allied Submarines of the 4th & 8th Flotillas based in Fremantle during World War II.